Few places in the world are as marked by recent nationalist struggle as Sri Lanka. Last May, a military offensive ended the 26-year struggle by Tamil separatists to establish their own state on the island. Tomorrow two Sinhalese nationalists (Sarath Fonseka and Mahinda Rajapaksa) compete for the presidency. 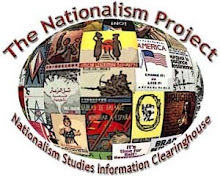 Each man claims to be more nationalist than the other. One, Fonseka, took out a full page ad to show off scars from a 2006 assassination attempt. According to The Australian, the real irony is that the country's 2.5 million Tamils (12.6% of the population), the group who bore the brunt of the military struggle, may hold the balance of power in tomorrow's election. They may have a difficult choice. According to Brahma Chellaney, a political analyst and professor of strategic studies, the two main candidates are little different. The Australian quotes him as saying: "Whoever wins, it will be more of the same. Both are Sinhalese nationalists so they're playing the Sinhalese nationalist card." The Tamils enter the picture because the two candidates split the hardline vote, leaving the two men to fight over moderates: many of whom are Tamils and Muslims. Fonseka has amassed a striking coalition of support that includes the two main Sri Lankan opposition parties—including the Tamil National Alliance, former mouthpiece of the Liberation Tigers. Despite this development, polls show the main candidates "neck and neck." It will be interesting to see how the people vote and how Sri Lanka deals with the legacy of a quarter century of violence. The battle for self-determination for stateless-nations is never just about the struggle itself. When the fighting is over, it is still necessary to attain some kind of peaceful coexistence. In this instance, violence seems to be in the past, but the legacies are clear to see. Just recently, Fonseka was compared to Idi Amin and Adolf Hitler by his rival—two of the major villains of the twentieth century. Can peaceful coexistence be established with rhetoric such as this?